BUY THE OUT OF PRINT VINYL HERE! 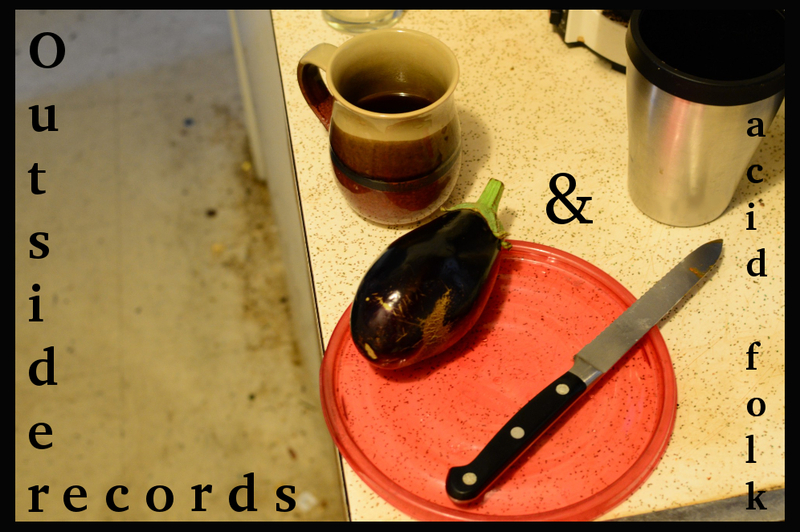 If you don’t mind lengthy whispered interludes to your songs, then this album will be up your alley. This would have been a pretty solid album if there were more songs on the Lp in place of the whispered barely understandable poetry. Joan Hettenhouser’s vocals on the tracks, “Jump For Joy” , “The Good I Would Be”, and “Circles”, as well as Tedd Smith’s instrumental, “Smash And Grab World”, will make you wish there was less filler on the album. 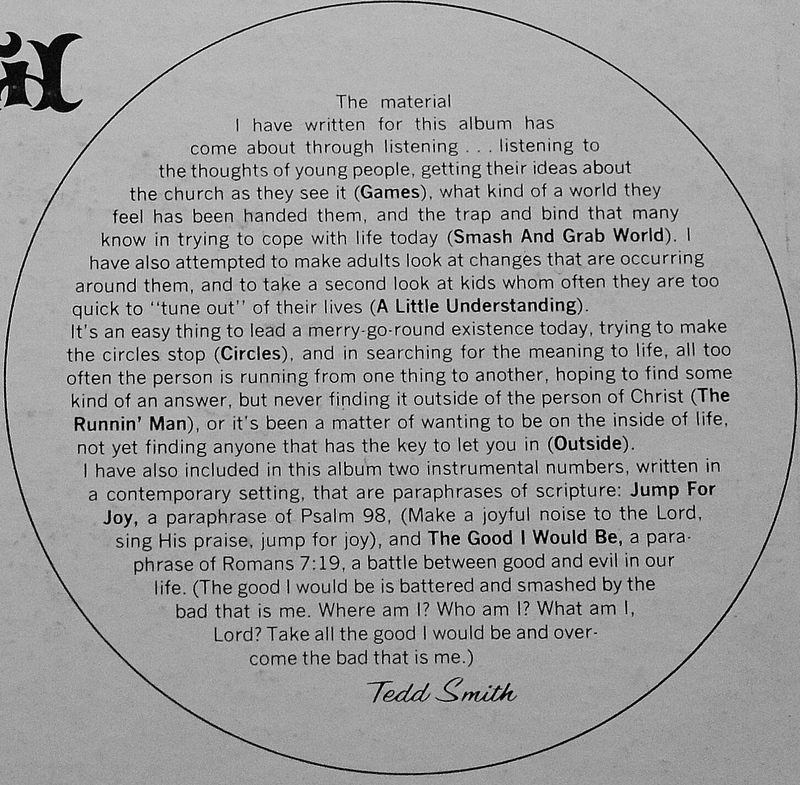 Unfortunately, this typically plagues most Christian albums. 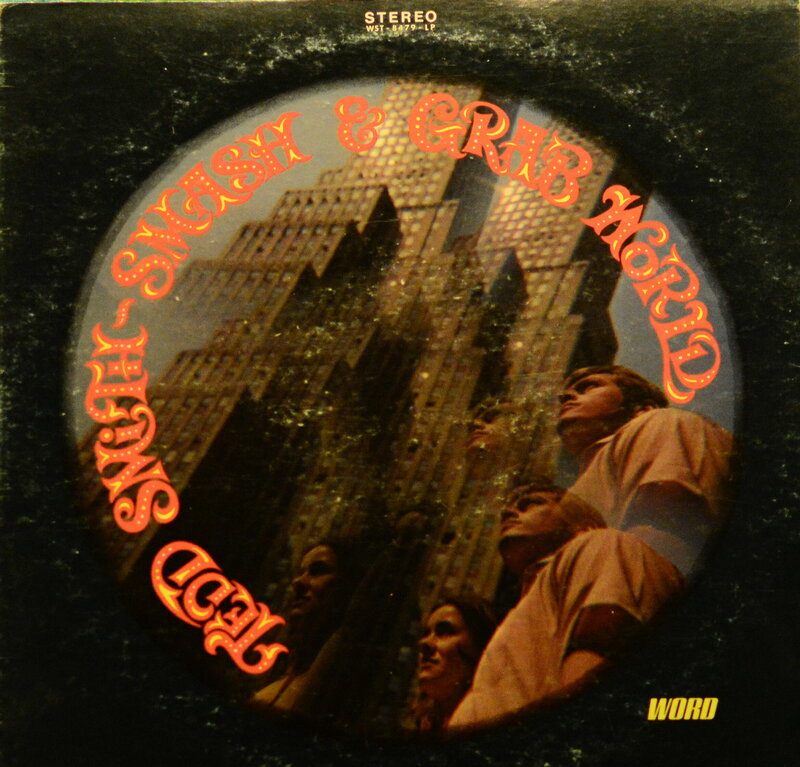 This album however, is a stand-out in this sub-genre of Outsider/Psych/Christian music, and does have some pretty nice surprises here and there, especially with the ahead of its time guitar licks in the song “The Good I Would Be”. Neat. 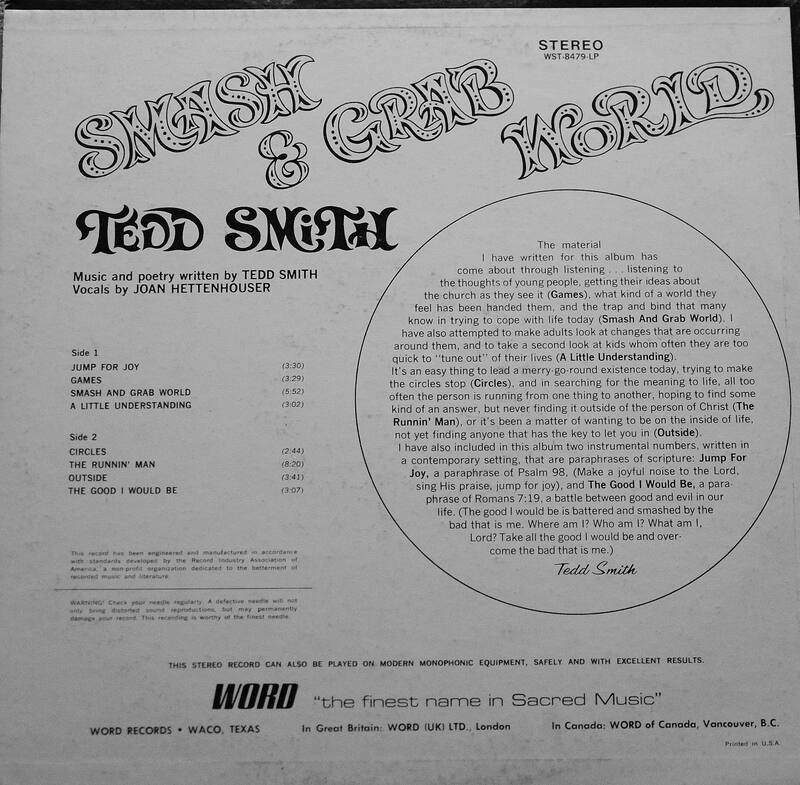 This entry was posted in Tedd Smith: Smash And Grab World (1969) and tagged Outsider, psychedelic, Tedd Smith: Smash And Grab World (1969), weirdo, Word record label on January 11, 2015 by dunnmore27.